Submit your old family photos in JPEG file format for display on these pages. 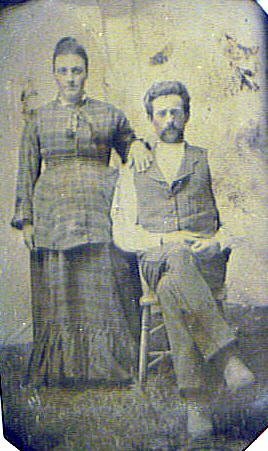 Laird V. and Sarah Wolfe Richey. 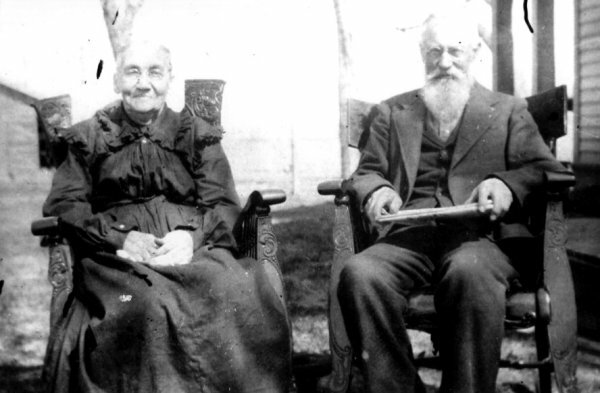 I was told that it was taken on their 50th wedding anniversary which would have been around June 1902, as they were married 17 June 1852. 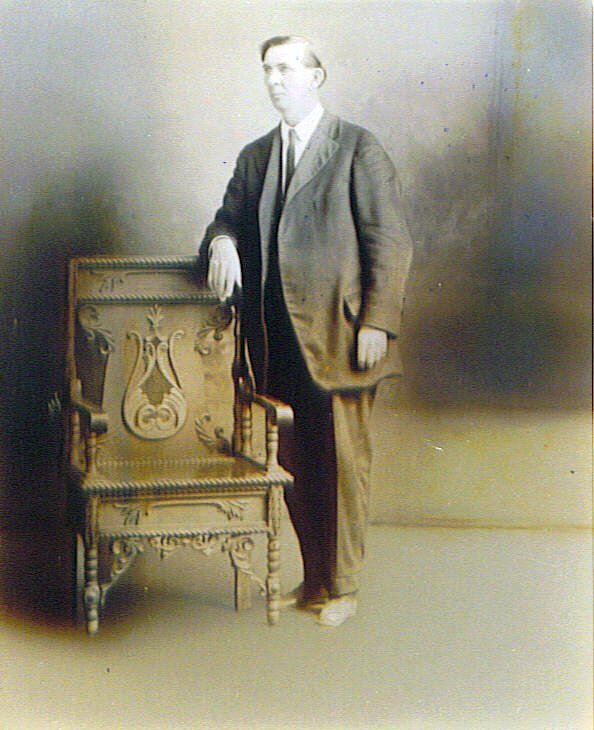 They came to Adams County, Iowa in the Spring of 1854 and according to the biographical sketch, were the first settlers of the east half of Adams County. Laird was involved with building many of the early buildings in Corning. 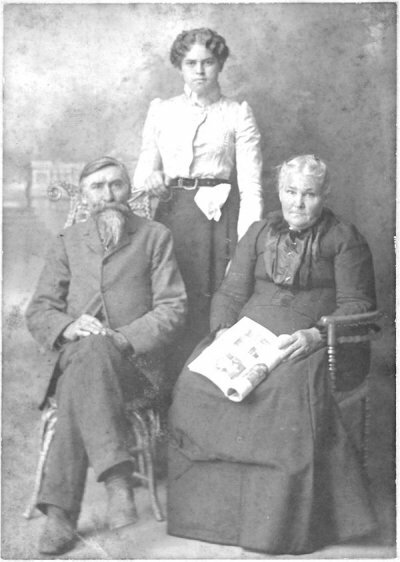 A photo of my great grandmother Elizabeth Matheny Jones with her daughter Sarepta Jones Mack, Perry Mack (Sarepta's son) and Opal Mack (Perry's daughter). In other words - four generations. I believe that this photo was taken circa 1902 when Sarepta was visiting her mother (Elizabeth) on her 80th birthday. Civil War, 23rd Iowa Volunteers, Company I, married 21 Oct 1861 at Lewis, IA, Mary Catherine Morris born 10 May 1842, OH died 4 Jan 1918, Corning, Adams Co. IA . 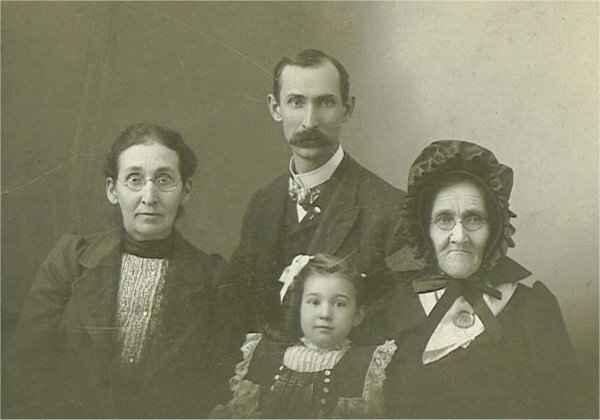 The girl in the middle is youngest daughter, Lula Maude Jarvis born 27 Nov 1883, Adams Co. IA, died 20 Jan 1977 at Corning, Adams Co, IA married Ralph W. Boham 4 Sep 1902 at Corning, Adams Co. IA. After Ralph died, Maude married Fred Carothers.